Any wood in your home can rot. It is usually caused by dampness and a warm temperature. However wood boring insects can also play their part. If you suspect you have an issue with these it is imperative that you get professional help as quickly as possible. 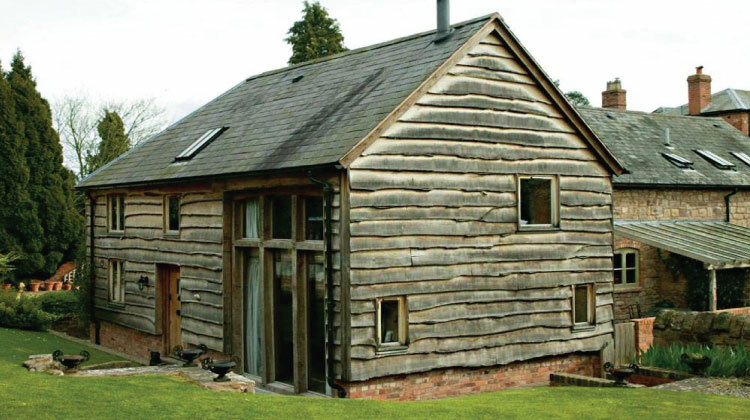 The real issue with rot is that if you don’t treat it promptly it will spread across your timbers; the result is you’ll be looking at house cladding options; not just repairing your rotting cladding. Of course this is an option if our budget can stretch to it; there are some excellent options available on the market. Walk round your home looking for any areas that could be rotting. Your cladding handles all the weather and could start to rot at any time. You can test the wood with a screwdriver; if it slides effortlessly into the wood you have rot. It is important to pay particular attention to windowsills and any joints you have. This is often where water ingress starts. Rotten wood must be removed as quickly as possible. You can use your screwdriver or any other sharp edge to dig the soft wood out of your structure. The point of this is to find out how big the damaged area is. Once you’ve worked out the extent of the rot you’ll be able to remove all of it. It is best to cut your cladding on the good wood; this will make sure all the rotten wood is gone. The tighter the fit the better, when looking at replacing the rotten cladding; you’ll need to cut a piece or pieces of wood that fits the gaps you have. Once you’ve cut it test it by putting it in and out of the hole in your cladding. It is best to use polyurethane glue to fix your new piece of cladding into place. This glue reacts with water to create an excellent waterproof seal; you need to dampen the wood before applying the glue. Of course you also need to clean all the surfaces to ensure the wood can bond effectively. The new piece of cladding needs to be securely fastened into position. The aim of the glue is to ensure there is a good waterproof seal. You’ll need to drill through your replacement piece and then into the wall behind. This will allow you to fasten your new piece in place with screws. Once the glue has set you’ll be able to sand it down to get a flush finish with the rest of the wood cladding. If necessary you can chisel off large amounts of glue. To ensure your repair blends in perfectly you’ll need to cover the screw heads with putty and then add a coat of paint to match the existing cladding. You can then step back to admire your own work.